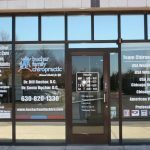 Educate, inform, and excite potential new visitors about your unique services with irresistible window graphics by Rocky Mountain Sign Company! 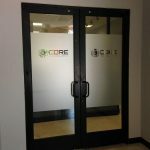 Whether you are promoting specific products or services, want to supply privacy for your patrons inside, or simply wish to inform your potential customers on what you have to offer, engaging window signs and vinyl graphics get your brand seen and remembered. 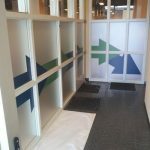 Rocky Mountain Sign Company is your local vinyl window graphics company, creating enticing window graphics, signs, clings, and displays that get your company seen. Call Rocky Mountain Sign Company today at (303) 945-3288 for your Free Consultation! Rocky Mountain Sign Company produces the most effective window signs, graphics, and images for your brand needs. 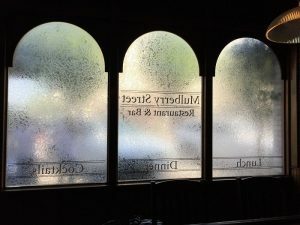 Our seasoned sign designers will assist you by providing custom window graphics that support your objectives, match your existing product branding, and get your message out to your clients. Our window signs specialists make sure you get the most appropriate signs and graphics. During the free consultation, our experts learn about your brand and make intelligent suggestions for products that will best suit your business. We are excited to support your business goals with impactful and eye-catching window graphics, signs, wraps, lettering, banners, and more. It’s clear to see that retailers spend a lot of time and effort on designing their promotional window displays. A unique window display is designed to attract interested potential customers inside your shop. If you are having a special event, promotion, sale, or want to improve sales related to a high-ticket product, your window displays are a great way to accomplish this. Typically, window displays are often updated to showcase the hottest, newest merchandise your business offers. 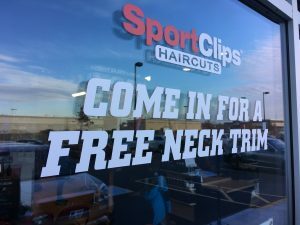 Rocky Mountain Sign Company can offer you engaging window signs and graphics to help promote your promotions, special events, and useful products in a professional way that will pull in more visitors. Office buildings, such as service professionals, counselors, law firms, real estate agents, insurance brokers, and more, utilize custom vinyl window film on their outdoor windows for promotion, privacy, or branding purposes. 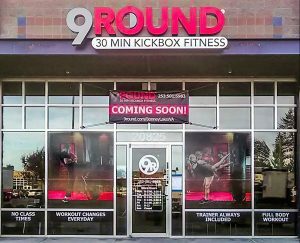 Rocky Mountain Sign Company is able to produce privacy film that gives either a frosted glass window, without the cost and hassle of replacement glass. 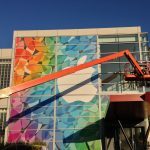 A great deal of professionals also choose to have the business name, logo, or other images or text incorporated in their vinyl privacy film for product branding purposes. Our team of professionals can develop an exclusive privacy film custom-crafted specifically to your organization, or provide examples of widely used vinyl film possibilities so you can make the most effective plan for your location. Even though your company doesn’t offer retail products your business can still benefit from an exciting window display! Liven up your windows with graphics, lettering, banners, or posters displaying your most beneficial solutions, specific deals, or even design an engaging mural that describes how your business can really serve your ideal clients. Our knowledgeable signs and graphics designers work along with you to produce the perfect display for your company and desires, and our local sign shop handles manufacturing, and can even provide installation of your final custom graphics. Rocky Mountain Sign Company delivers everything, from the first conversation through to professional installation. 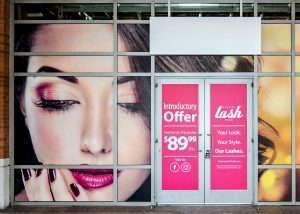 Our experienced signage professionals produce the targeted window signs, displays, posters, banners, and graphics you must have to captivate more new customers or provide privacy to those within your facilities. Whatever your business needs might be, Rocky Mountain Sign Company provides the correct sign and graphic solutions for your unique needs! Call Rocky Mountain Sign Company today at (303) 945-3288 for your Free Consultation with a Window Graphics Specialist! Great customer service and quality products!